Why do infographics play such a key role in content marketing? The answer is simple. People are visual beings – optical impressions and stimuli make up well over 90 percent of the information that our brains process. Our memories are also influenced by our vision. On average, we remember 20 percent of the information we read, while 80 percent of what we see is retained in our long-term memory. Knowledge is thus easier to convey when the message includes professionally designed graphics. There are no thematic restrictions, so a graphic can cover everything from assembly instructions to relationship tips to investment strategies. Virtually anything can be explained or summarized using infographics. In order for an image to have the potential to “go viral” or be distributed by large numbers of internet users without the intervention of the author, some rules should be carefully observed. In the following sections, we’ll look at what constitutes a successful infographic and how to create visually appealing material. Adding simple images that match the theme of the content can significantly increase the reach of blogs and articles on forums or social networks. 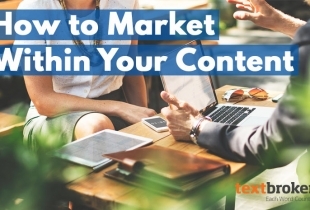 Written articles featuring matching graphics achieve up to 90 percent more user interaction than pure text content. Information can be more easily processed when it has visual support – especially for those people who are visual learners. 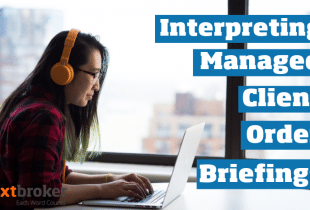 While infographics are often used to illustrate and summarize text content, a good infographic can also stand alone and convey information without the help of accompanying text. It takes much less time to process graphical data than it does to read an entire article, which is a real bonus in today’s fast-moving consumer world. Because they typically have a small file size, infographics are also easy to share. Internet users like to spread content that gives their interest group an advantage or some new knowledge – even if this is sometimes done just to raise their own profile. Therefore, this type of graphic is ideal for viral marketing. Infographics can be created on any topic – for training, advertising, building brand awareness or just entertaining people. The only restrictions are the limits of your own imagination. Whether you want to explain social, economic or technological concepts, anything is possible. It might be a little humorous or even completely absurd, and satirical infographics especially can spread across the web like wildfire. Create unique content: Whatever you do, make your graphic as unique as possible. Don’t copy other people’s work. It’s okay to be inspired by existing graphics, but create something that’s uniquely your own. This will help you avoid any copyright disputes, and more importantly, your users will reward your creativity. Copycats disappear very quickly and establish poor reputations for themselves. Do not blatantly advertise: If a graphic is obviously intended as an advertising medium, this will reduce the likelihood of it being shared. Keep the aesthetics and informative content in the foreground, and the advertising impact will look after itself. Consider your target group: Always maintain the relationship between your own business and your target audience. Deliver relevant, useful or amusing information on topics that will specifically appeal to your audience. Use numbers: Numbers are always effective because they give the user a concrete impression of what they can expect. Numbers should be included in your title, such as “The 11 best ways to quit smoking.” Also note that odd numbers seem to capture extra attention. Create a strong headline: On average, only 2 out of 10 people read any further than the headline. It’s therefore important to produce an eye-catching headline that is also meaningful and interesting. Use a strong image in the header: Your header is the first thing that will catch people’s attention. And some displays (e.g. mobile devices) won’t reveal much else at first glance. With that in mind, choose a meaningful or striking header image that illustrates the topic at a glance. Start with a good introduction: Write a few (original) introductory sentences about your infographic, encouraging visitors to read more. A famous quote, a rhetorical question or even a little history can be a good way to arouse interest. Consider the color scheme: Simple but effective color combinations achieve a more lasting effect than graphics that are either colorless or saturated with color. Make it readable: Avoid all eccentric or fancy fonts. Simple characters are best suited to on-screen viewing. Essentially, all of your information should be as easy to read as possible. However, depending on the topic, this rule can occasionally be relaxed – in a headline, for example. Number for clarity: Create clarity by numbering the individual sections of your infographic. A clear structure helps the reader and facilitates understanding. Clearly define your sections: Individual areas can be separated from one another by using colors and/or border lines. This makes it easier to grasp the structure and content of the infographic when browsing. Offer quick results: The average internet user has little patience, so make sure your graphic provides information that is of immediate benefit to your target audience. Mention or involve influencers: Influencers are mostly well-known brand champions or popular internet personalities who can influence large numbers of people. Collaboration with influencers can be very valuable when creating and sharing infographics. Add Validity to Your Content – You can increase your credibility by including third-party data (opinion polls, business institutes, scientific publications, etc.) or supporting your statements with relevant, famous quotations. Visualize your information: Text plays a subordinate role in an infographic. All information should be visualized using images, tables or diagrams. Ideally, a reader should be able to grasp the basic message of an infographic without reading a single word. Showcase your logo and brand: Include your logo and web address in the infographic so that your users will know who’s responsible for the masterpiece. You could, for example, create a section that reads, “This graphic was created for you by …” Then you can directly refer readers to your own web site. Cite your sources: No individual clickable links can be placed within an infographic. Therefore, it is important to insert a section beneath the graphic that contains the URLs of the source pages. Make it easily understood: Always keep in mind that a good infographic should be accessible at a glance. Keep the layout simple, and do not lose yourself in elaborate detail. Keep SEO in mind: Infographics can have a strong impact on search engine rankings. It is therefore useful to associate an infographic with a specific, relevant keyword. Aim for a fast loading time: Use the smallest possible file format to reduce the loading time of the infographic in the browser. A resolution of 72 dpi with a width of 700 to 900 pixels is a good basic guideline. Choose a good format: The chosen format also plays a role in readability and the processing of information. As a guide, an infographic should be about nine times as long as it is broad. This supports reading down from top to bottom and also ensures that the material will display well on mobile devices. Simplify sharing: To ensure that your visitors can share your infographic with little effort, it should be easily accessible on your website and include an embedding code. This code must contain an appropriate link so that users can then embed the graphic on their own web pages. Free generators for embedding codes are available – for example you could use embedly. Buttons for sharing on social networks can also contribute to the rapid sharing of infographics. Share it with content communities: Once you have created an infographic, it should immediately be distributed on the web. In addition to posting it on your own web properties, you can share it across content communities such as Reddit and Pinterest. Advertise via email: Send emails via your own network to alert other users about your infographic. The more people who come into contact with the work, the better. Outsource as required: If you feel yourself becoming overwhelmed by the technical or content requirements, or if you do not have access to expensive professional software like Adobe Creative Suite, you could outsource part of the task or even the complete design of your infographic. There are many service providers who specialize in graphic design and content marketing. Just by persuading users to spread your infographics, you can increase your reach and level of brand recognition. To be perceived as worthy of sharing, an infographic should be clear, easy to understand and valuable. Include as many social networks as possible and also use your other contact networks to build a strong community. Take advantage of our 25 tips and monitor any user feedback for your infographics, and you should see some impressive results. 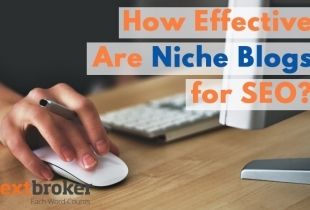 Just How Effective Are Niche Blogs for SEO? This is an outstanding guide to writing a viral blog post. The suggestions that most pro-people used to talk about the researching, getting the targeted niches and by the catchy titles, are most of the times various bloggers just ignore or skip these details. But as I got to known after few days, these are the best suggestions, without issue the extra work and time you spend on anything the greater the chances are that it will go viral. I accept that spending time and power on the social media could be a rewarding job to do. The heading should be killer, and catchy enough that draws visitors attention towards the content and a solid background design will produce an engaging attraction for a user. Especially, I follow most of the things that you have listed here. At the starting phase of blogging journey, a user has to spend more time than standard time; I understand how it tastes while you write a quality article and there is no one without you to check your write-up. But the things will improve as long as you invest full time and energy to develop your blog. I’ve bookmarked this article to be able to check back again when I decide to write any blog posts. Thanks and keep sharing such a quality pages.